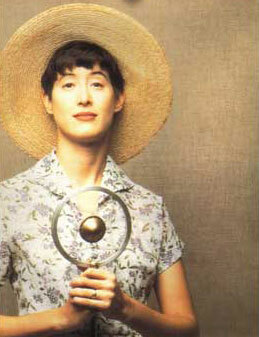 Our favorite "sophisticated hillbilly" returns to celebrate the 20th anniversary release of Arkansas Traveler, the album that put Michelle Shocked on the map as one of the most erudite purveyors of Americana music on the block. Far ahead of her time, the young singer-songwriter traveled from kitchens to front porches and recorded the album in collaboration with some of roots music's greatest heroes and pioneers, including Pops Staples, Gatemouth Brown, Doc Watson, Norman Blake, and Taj Mahal, providing a jawdropping travelogue into the heart of old-time string band music. Tonight, she celebrates the release of a new, digitally remastered edition of the album with new takes on old tunes plus plenty of new material. "I believe it is a masterpiece that has stood the test of time," says Michelle, "and I'm delighted to return with a few updates and surprises added." Born in east Texas, Michelle grew up playing the fiddle tunes and string band music found on Arkansas Traveler. A sharply observant, politically outspoken, supremely self-assured singer-songwriter, Michelle first became widely known in the U.S. following the release of her 1988 album, Short Sharp Shocked. With her following projects, such as last year's Soul of My Soul, Michelle continues to explore the heart's depths as well as her political convictions, with songs ranging from "Liquid Prayer" to "The Ballad of the Battle of the Ballot and the Bullet."